It's important that park professionals understand the value of our parks, understand the math behind the analysis, and some of the other ways parks increase economic activity. Parks can increase health and wellness, provide habitat, reduce urban heat islands and manage storm water. Your park is valuable, but how do you measure its significance? With parks' positive impact to property values as well as the events or tourism that occur in and around them, our parks are economic engines of our communities. We will learn how to calculate this impact, why it’s important, and how to use the new data to better market our parks and their value. Become better prepared to tell the narrative of the incredible impact of parks. Identify data sources and potential partners to assess the economic impact of your parks. Understand how this assessment can help boost your park agencies value within your community. Understand how to calculate the property value and/or tourism impact of parks. Mr. Daley has worked for the Chicago Park District for the past nine years, first as Director of Green Initiatives. Prior to working at the Park District, Mr. Daley was at the Chicago Department of Environment for ten years most recently as a Deputy Commissioner overseeing the Energy and Air Quality. He has given presentations on a variety of topics to elected officials, board members, colleagues and staff, students, the general public, and at conferences. ​Parks departments are uniquely positioned to provide a wide range of access to arts and cultural opportunities, which engage, create a sense of place and give voice to diverse communities. This session will explore how both hands-on and experiential programming can be a vibrant part of any parks department's offerings, when designed to meet the needs of your community. Arts are limited in schools and arts institutions are often intimidating, while parks are open and inviting spaces. There is an opportunity for Parks Departments to play an active role in providing well rounded and engaging arts programming. Like traditional sports programs, the arts also foster positive growth for all ages. Arts can be used to build self -confidence, improve self- expression, enhance problem solving, encourage innovation, tackle social inequity and build community bridges. Parks departments are uniquely positioned to provide a wide range of access to arts and cultural opportunities, which engage, create a sense of place and give voice to diverse communities. This session will explore how both hands-on and experiential programming can be a vibrant part of any parks department's offerings, when designed to meet the needs of your community. Robust, well designed arts programs not only unite diverse audiences, they can be a catalyst for addressing social equity. Be able to identify a community challenge or opportunity where arts can be used to solve the problem. Understand how to leverage resources (both dollars and partnerships) to create greater art opportunity for your participants. Understand how practical application of art programming can bridge social equity gaps that may exist in your community. Amy McBride is the Arts Administrator for the Office of Arts & Cultural Vitality at the City of Tacoma. With over 20 years’ experience as an art professional and a goal of creating a fertile ecosystem for arts to thrive, Ms. McBride manages three funding programs for arts organizations and artists, implements public art projects, develops innovative and collaborative programming and formulates effective policy. She developed the public art plan for Metro Parks’ recently initiated 1% for art policy and in partnership with the District, manages the new public art program. She holds an M.A. from the University of Washington-Tacoma in Interdisciplinary Studies with a focus on urban art and BA from the University of Colorado Boulder. Mary Tuttle has a passion for creating opportunities which connect people to parks and programs. She spent seventeen years of her career serving in a variety of capacities relating to the arts, spanning work in public schools, universities as well as public and private agencies. From 2006 - 2015 Mary focused on building a viable arts program brand at Metro Parks Tacoma, known as Metro Arts. Metro Arts has grown to an annual attendance of 90,000, with a total cost recovery rate of 80%. It is primarily a direct service provider, with offerings in Visual, Performing & Culinary Arts. Metro Parks Tacoma was awarded the prestigious City of Tacoma’s Arts Patron award in 2016, for both its public art and programming commitment to the community. Scrap your marketing plan and learn how growth hacking techniques from Silicon Valley start-ups, including data analysis, marketing automation, user-experience design and design iteration, can lead to more effective marketing, higher participation and increased revenues, all without breaking the budget. The marketing landscape shifts so rapidly that a rigid marketing plan can quickly leave you struggling to keep up. So scrap your marketing plan and learn how growth hacking techniques from Silicon Valley start-ups, including data analysis, marketing automation, user-experience design and design iteration, can lead to more effective marketing, higher participation and increased revenues, all without breaking the budget. Learn how to user marketing automation tools to improve marketing efficiency and user experience. Learn how marketing can be used in each phase of the user-experience cycle of Discover, Decision, Delivery. Learn how to use design iteration and reporting to create a flexible marketing strategy. Ian has twelve years marketing experience and eight years experience in parks and rec. 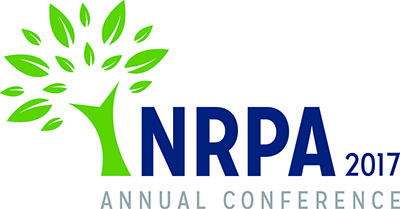 He has previously spoken at NRPA and at Illinois and Wisconsin state conferences. Ian has also been published in Parks & Recreation magazine & Howdesign.com on marketing topics. Ian is also a freelance branding consultant for entrepreneurs and start-ups across the globe. Public-private park partnerships are critical to achieving health equity in your community. Hear from health equity experts and community coalitions who have successfully worked across sectors to achieve health equity. Learn how these programs and policies can be applied to the work you are doing at your local park and recreation agency. Apply a health equity lens to policy and program planning. Discuss how public-private park partnerships are formed and can be used to achieve community health equity goals. Analyze public-private park partnerships for ways in which they could be strengthened and improved. One of the biggest obstacles for most community leaders, including those in parks and recreation departments, is they’ve never gone through the seemingly complex process of planning and designing a building and have no idea where to begin. Through a simple breakdown of this process into a step by step methodology, parks and rec departments can understand what they need to do in order to successfully plan, design and build a new recreation center when their communities have the opportunity. Use graphics and a successful media relations plan to communicate with voters and garner support. Climate change has overwhelmingly been recognized as one of the most urgent threats to our communities and our environment. Parks play a unique role in providing respite, infrastructure, adaptation and mitigation strategies for urban communities. The focus on climate change and adaptation provides a unique opportunity for a new ecological era for parks with a focus on investment in restoration and protection of natural areas. The urgent need to address climate change coupled with parks unique role in addressing the effects of climate change provides a unique opportunity to position parks to emerge as leaders and usher in an ecological era where government, business, and all stakeholders invest in the protection and restoration of parklands as a means of adaptation and mitigation of the effects of climate change. Balancing ecological restoration with infrastructure services and outdoor recreation. Water play has an immense appeal to people of all ages. It is therapeutic nature and encourages active interaction and sensory exploration. Water is beautiful to look at, calming to listen to, and wonderful to touch. Many parks and recreation facilities plan to open upcoming water play destination and they are seeking best practices and knowledge to effectively advocate the benefits, address challenges, and thoughtfully plan, design, fund, maintain, and sustain these community assets. List design strategies to address child development, inclusion, and support multigenerational use. 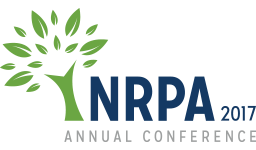 NRPA, in collaboration with National League of Cities and the Children & Nature Network, will discuss innovative and replicable strategies parks can employ to create meaningful connections between the outdoors and communities. With a focus on equitable access, participants will have the opportunity to discuss barriers and discover field-tested tools and collaborative strategies that maximize benefits for whole communities. Learn how park agencies and partner organizations are connecting young people to the outdoors through collective impact partnerships. People generally tend to believe they must be in control or have control over others to be most effective or to obtain desired results. They fail to realize the overwhelming potential of influence and persuasion in directing or redirecting behavior. Because they lack the title or authority, they fail to take initiative to move an organization, change a protocol or assume leadership. Participants will be able to utilize the information in mentoring and developing their staff into effective leaders. How to Handle a Parks & Recreation PR Communications Crisis: Parks and recreation departments are often faced with public relations crises. Any crisis can turn into a potential public relations disaster. The universal factor governing all crises is that they all require detailed and continually updated preparation and practice. A crisis is any event that causes people to have to react to a situation. It can be acute or chronic, good or bad. How it is handled in the media can have a tremendous impact, either positive or negative, on their organization. These are significant unexpected or unwanted events or issues that threaten to harm the organization's brand, reputation and/or its employees, customers, clients and other key audiences and stakeholders. Through real-world examples, Steve will demonstrate best practices on how to successfully handle a public relations crisis in your department to preserve your reputation in the community. VOTE! How to Plan a Successful Bond Program: Once community leaders identify the need for a new recreation center, how do they get voter support? This session reveals it’s not such a mystery, and there are indeed proven strategies behind successful public outreach programs. Through a series of recent case studies, this session outlines the key steps community leaders must take to gain support for a bond issue on a ballot measure in order to fund a new community recreation center. A Value Proposition: What's My Park Worth? : It's important that park professionals understand the value of our parks, understand the math behind the analysis, and some of the other ways parks increase economic activity. Parks can increase health and wellness, provide habitat, reduce urban heat islands and manage storm water. Your park is valuable, but how do you measure its significance? With parks' positive impact to property values as well as the events or tourism that occur in and around them, our parks are economic engines of our communities. We will learn how to calculate this impact, why it’s important, and how to use the new data to better market our parks and their value. Become better prepared to tell the narrative of the incredible impact of parks. Using Health Data to Power Results: The US is facing an epic health crisis with rising healthcare costs and decreased quality of life. Upstream solutions are needed and parks and recreation providers are uniquely positioned to play a key role. Increasingly, we are being asked to justify our budgets while increasing our responsibilities, which now include being a community health provider. Understanding how our profession interfaces with healthcare begins with understanding key demographic and health data. In the mighty age of data, using health data can be a powerful tool to fuel your funding requests, report program results, and demonstrate how your facilities and programs play a vital role in the health of the community. We can learn how to utilize data to build relationships with healthcare providers using collective impact to grow funding opportunities and improve community health. In this session, you will be introduced to how and where to mine data sources to leverage support of your programs.